Ok, so this one isn't a cool ILF guitar, but it's probably my favorite right now. 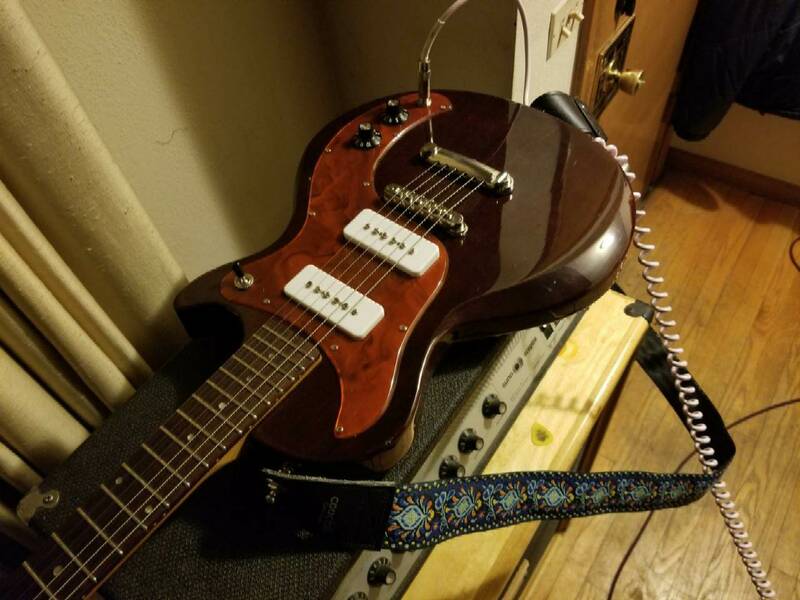 I completely gutted it this weekend and put in all new electronics and hum-cancelling Fralin p90s (it came stock with SD Blackouts which were way too hot and metal-oriented). 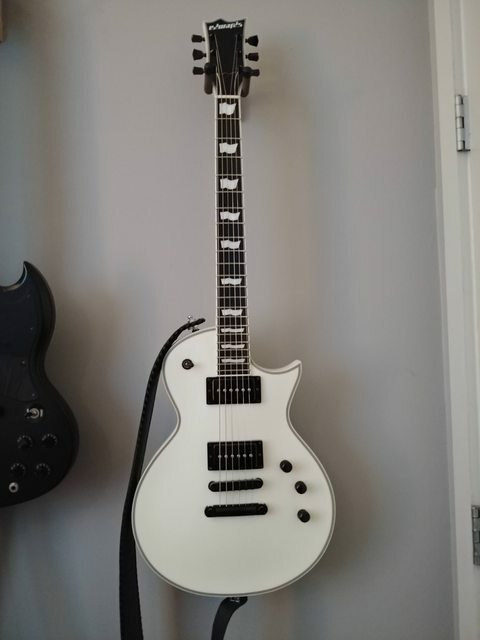 The Edwards eclipses are very uncommon in the US so I didn't know what to expect, but I'm glad I took the eBay gamble - it sounds and plays like a much more expensive guitar. looks cool! Love the commitment to black on white all over. The black hw on white finish looks slick. Is Edwards the Japanese market ESP brand? Yeah, you see some in the US but usually their more illegal looking LP copies. Picked up this Strat a couple of weeks ago, and I'm loving it. Sweet Strat. I've been wanting a Green/black/maple one one for a long time. 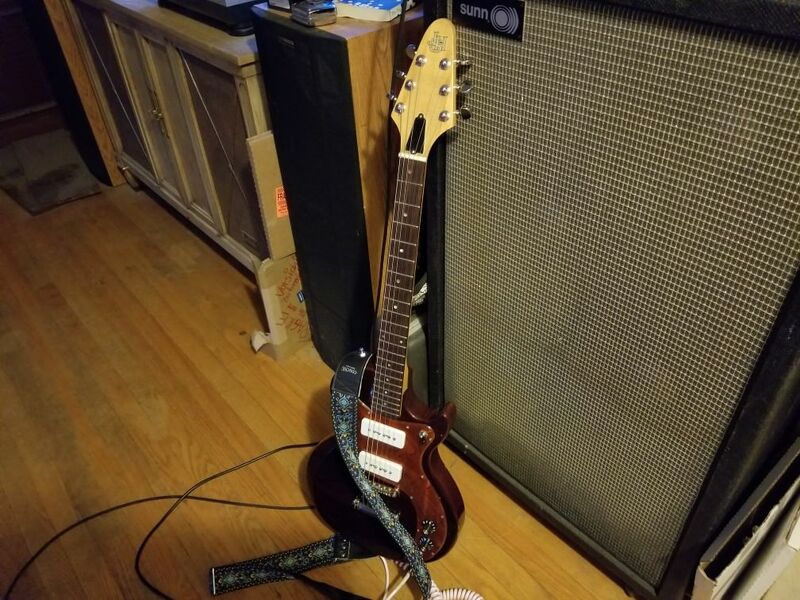 I'm without a Strat again for a while and craving one again, I might do a parts build. Strats can definitely doom, easily. I have a demo on Soundcloud that I made like 5 years ago w/ my old MIM hardtail conversion Strat doing doomy tones with a Joyo Ultimate drive. Just because someone said they were "too bright" to play heavy stuff. Which isn't true, it can just get brighter easier than a Gibson humbucker loaded type guitar. Those olive/black/cream combos are the best looking jobs the have currently!